300 rolls of dried leaves believed to be marijuana were found inside a plastic bag. 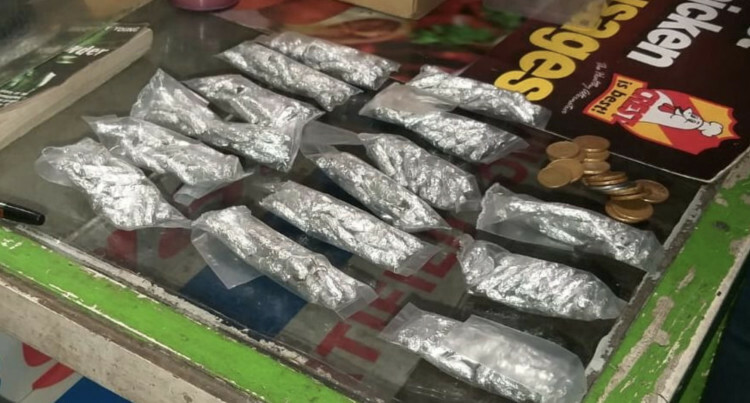 Rolls believed to be marijuana were found during a Police raid at a supermarket in Lautoka. The suspect allegedly found with 300 rolls of dried leaves later tested positive to be marijuana has been charged. He has been charged with one count of found in possession of illicit drugs and will be produced at the Lautoka Magistrates Court today. A man in his 50’s is in custody at the Lautoka Police Station for his alleged involvement in the illicit drug trade. A raid was conducted on Saturday night at a supermarket located along Vitogo Parade where 300 rolls of dried leaves believed to be marijuana was found inside a plastic bag. Police confirmed that the leaves will be sent for analysis as investigations continue.